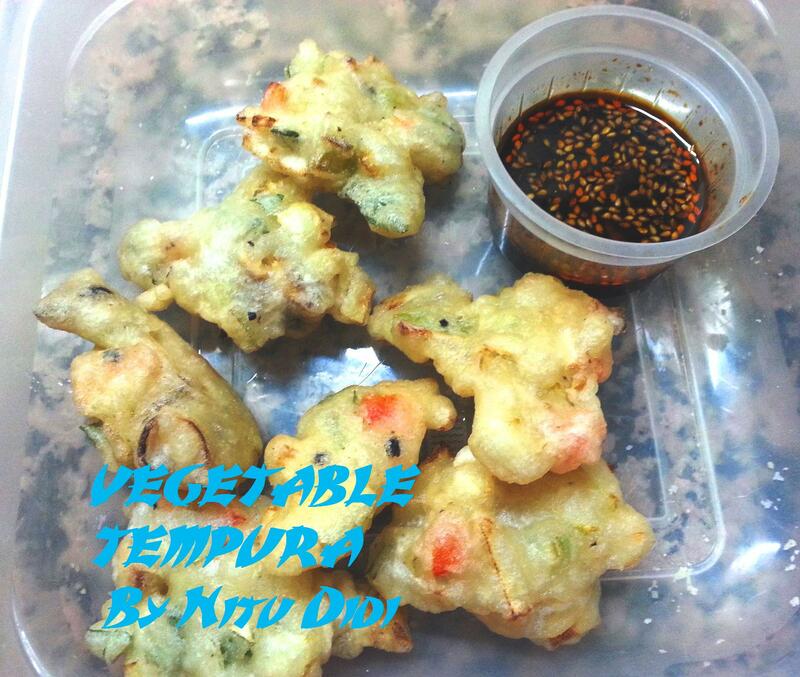 These vegetable fritters (tempura) are a wonderful way to get your kids to eat vegetables or introduce vegetables in a snacky form. I took these to a picnic and thats why they are in a plastic container. They did get a bit soggy but they were delicious. This is an eggless recipe. 2 cups of of mixed finely chopped vegetables such as : zuchini (courgette), capsicum, carrots, mushrooms, cabbage , green chillies, celery , leeks, spring onions etc etc. You can always omit some of the veggies. Put the chopped veggies in a bowl and add some salt to it so that they soften a wee bit. Add the flour and cornstarch. Mix well. Heat the oil for deep frying and when hot turn down the heat. Add the sparkling /fizzy water to the flour and veggie mixture to make a thickish batter that can be dropped with a spoon. I do have several videos showing how to fry food without the food getting oily. Drop spoonfuls of the mixture into the oil and deep fry turning the sides till brown and crispy. Drain on kitchen paper and serve. Mix all the ingredients together and serve it with the tempuras. If you do not have self raising flour you can use ordinary flour with a pinch of baking powder in it. If the oil is too hot while frying they will be floury from inside and if too cold they will soak in a lot of oil. For Jain recipe please omit the ginger. This entry was posted in Everything Vegetarian, Floury Matter, Fusion, Jain recipes, Made in China, Quick Recipes, Snacks, Veg Starters, Vegan. Bookmark the permalink.